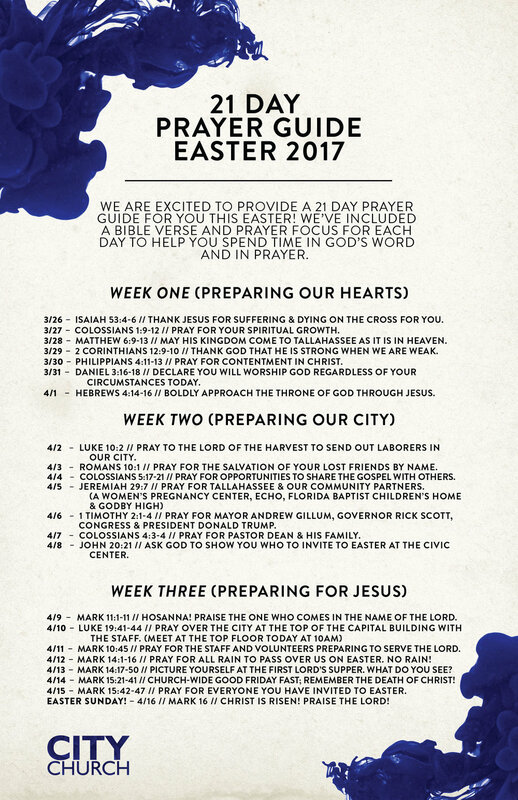 We want to give you a simple way to develop an action plan to accompany your prayers for the next 21 days. First, grab a piece of paper or flip your prayer guide over and write the names of people far from Jesus in your life, (friends, family, co-workers, neighbors etc.). Then next to their name write one tangible way you can invest in them and share the Gospel with them. We can't wait to hear the stories of how God is working in and through these situations!